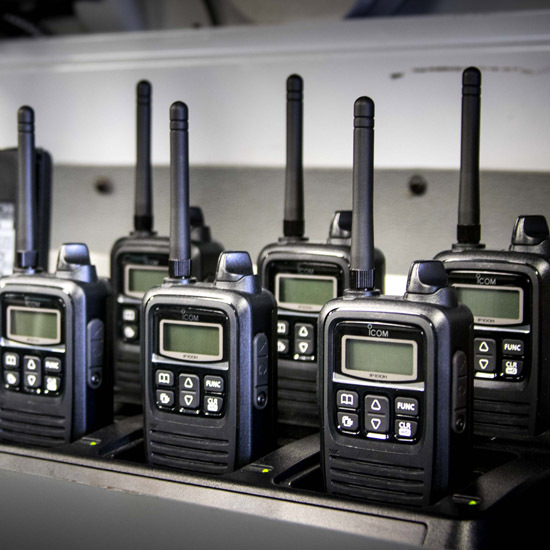 Icom's IP advanced radio system for wireless networks products bridges the gap between license-free and licensed radio devices. 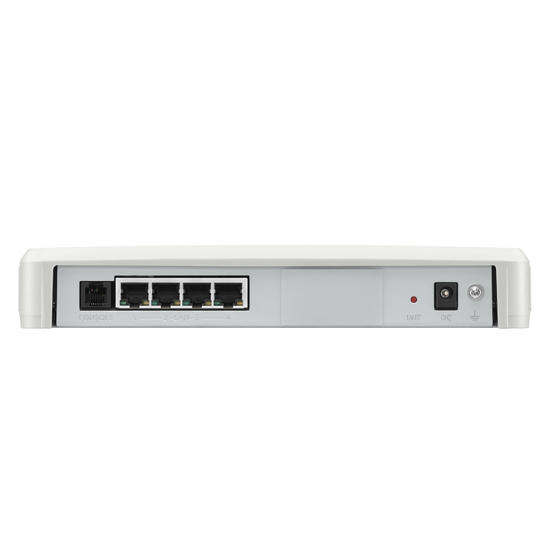 The system is easy to connect to an existing wireless network and allows full duplex communication with reliable sound quality. Icom’s new WLAN-based radio system offers scalable, license-free communication that uses standardized wireless network products as infrastructure. 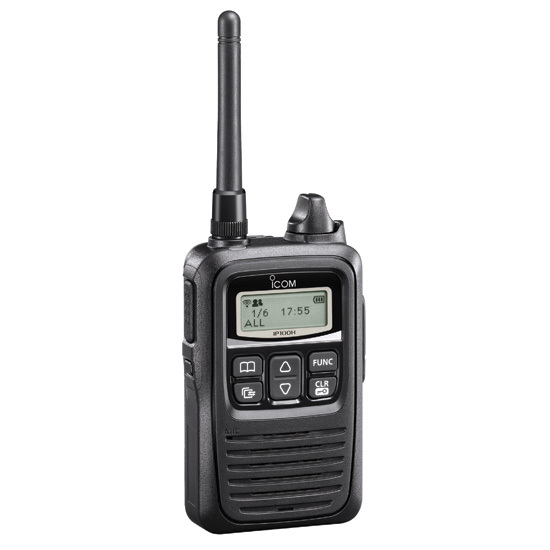 Icom’s IP100H WLAN or IP radio is the smallest professional radio on the market. 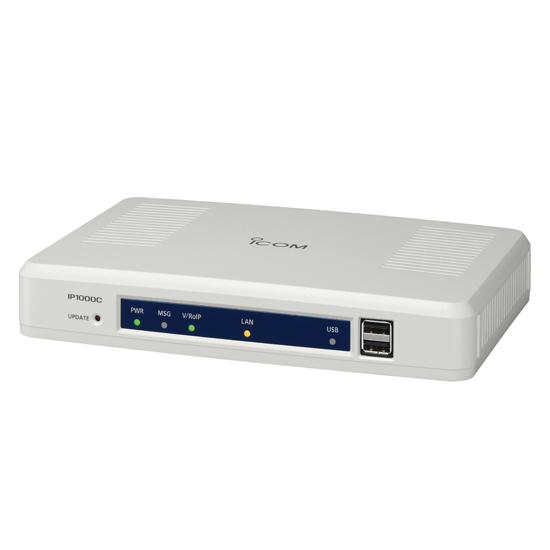 The IP100H is a wireless network radio that can move freely within the network. 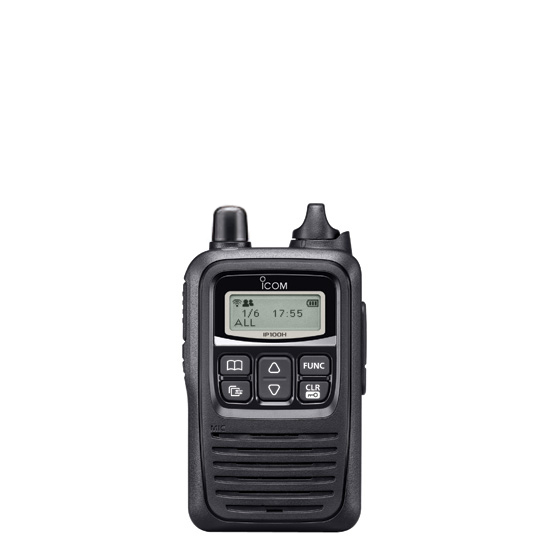 Icom's IP100H was chosen by Private University Products and News magazine as a 2016 Dean’s List Award winner. 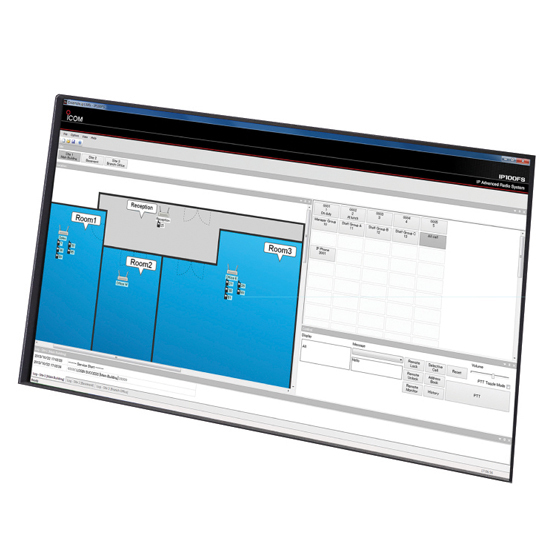 Supports full duplex with a headset connected, which allows many users in the system to transmit simultaneously. This is similar to talking on a regular telephone. Supports full duplex with headset connected, which allows many users in the system to transmit simultaneously.